इस लेख का मूल्यांकन करे Holding great characteristics that are profoundly wanted over the lot of horse events and riding disciplines, Andalusian breeds have been sought after by a lot of eager enthusiasts and professionals alike. Bearing a unique charm of their own and great rarity among the breeds themselves, Andalusian breeds became profoundly wanted over the lot of horse show events like Dressage, and riding disciplines as well. They have become a staple breed among enthusiasts for their docility (willingness to be trained), athleticism, natural collection, and unparalleled stature and physique. Since ancient times, the breed has always been known for its incredible athletic ability. Primarily earned its reputation from incredible agility and handiness in herding, they can easily dodge the hooking horns of a bull when it charges. Even the famed Quarter Horse and other horse breeds with adept “cow sense” (ability to understand simple concepts – used in herding) inherited this ability from their Andalusian ancestors. They pertain to have a natural calm temperament / calm state of mind. The reason for their prized rarity today is that they were once nearly extinct as the Spanish government placed an embargo on their export allowing no horse of Andalusian breed to be exported out of their country. The breed was deemed extinct in the rest of the world until the 1960’s when the ban was lifted. To date, many genetic breeds have been crossed to Andalusians to make up their own signifying new line of breed such as the American Azteca, Warlander, Spanish Norman, Iberian Warmblood, and Hispano Arab. Also, the breed’s versatility is unequaled. With astounding physique and great docility, they make up a good qualifier for high levels of Dressage. Even more, their quickness and strong build make them relatively excel in other disciplines like Jumping, and Driving. On general appearance, the Andalusian is well built. They have a finely sculptured head with straight or subconvex profile, have arched neck with a well developed crest and a long, and exuberant and often wavy mane and tail. It also has well defined withers (the highest part of the back at the base of the neck) and a strong back, rounded quarters with a low tail-set, long sloping shoulders, and strong legs with ample bone and broad flexible joints. With size ranging from 15-16 hands high (1 hand equates to 4 inches). Also, they are predominantly gray in color, and found in a much more rare – black, and bay variants. The breed can be seen in a wide variety of uses in today’s lot of horse competitions and discipline. 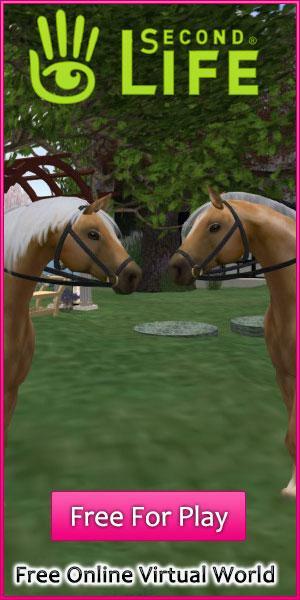 They Offer quite a great range or versatility that enables owners (players) to do many different things with one horse. They are excellent western event horses, pleasure, driving, jumping, and mostly over dressage competitions (even proving to be the ultimate choice for dressage riders for their great trainability). As for the horse games in general, the statistics found in them never change. The Andalusian would pretty much hone these special traits they are well known for. They will always aim for the highest praises in dressage competitions, and should easily spark popularity from its rarity alone (meaning they should be harder to obtain and sells for a higher price).